This is a few weeks old, but worth the read! “As we prepare to enjoy this Sunday’s Super Bowl rematch between the New York Giants and the New England Patriots, let us spare a moment to memorialize the dear dispatched Green Bay Packers. But give the Packers’ organization credit: they’re not sitting home pouting. 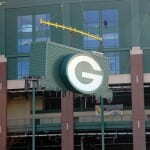 Instead they’re using the early playoff exit as an opportunity to get started on improvements to Lambeau Field, which included recycling the stadium’s aging scoreboard, according to Green Bay, Wis., ABC affiliate WBAY. 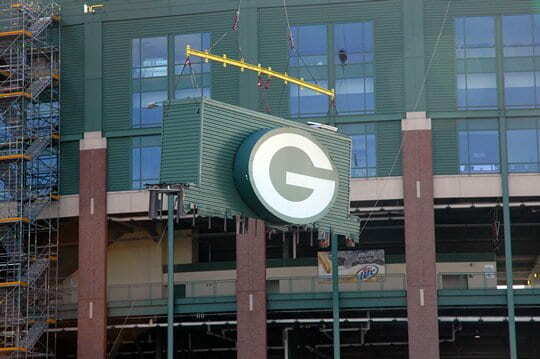 The Packers are working with Waste Management (it must be more than sheer coincidence that the two organizations sport identical yellow and green color schemes) to recycle the enormous device. An estimated 90 percent of the scoreboard is recyclable, including steel, aluminum, vinyl, wiring and circuit board materials and LEDs, although it will have to be shipped to Minneapolis for processing since Waste Management’s Milwaukee recycling center is not large enough for the job.